Breathe deeply and soak in the panoramic view as you embark on a tasting journey designed to elevate your palate and your spirit. 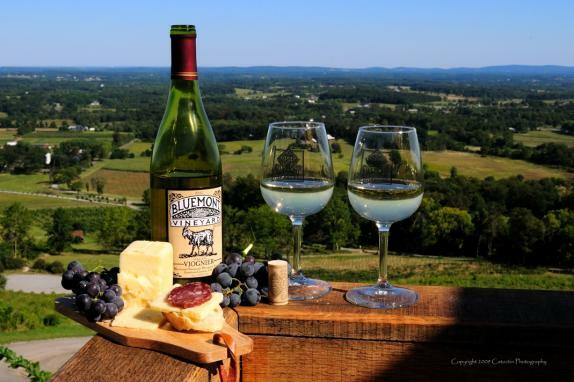 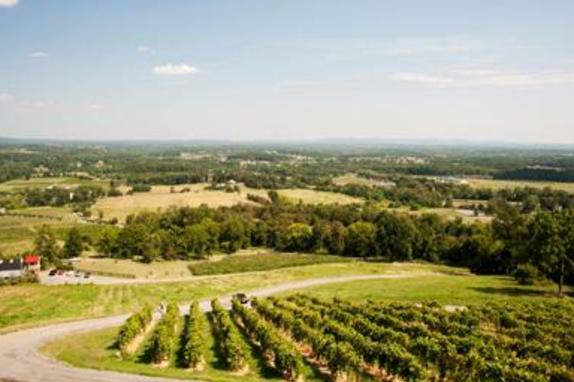 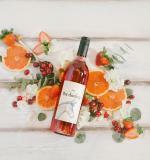 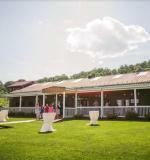 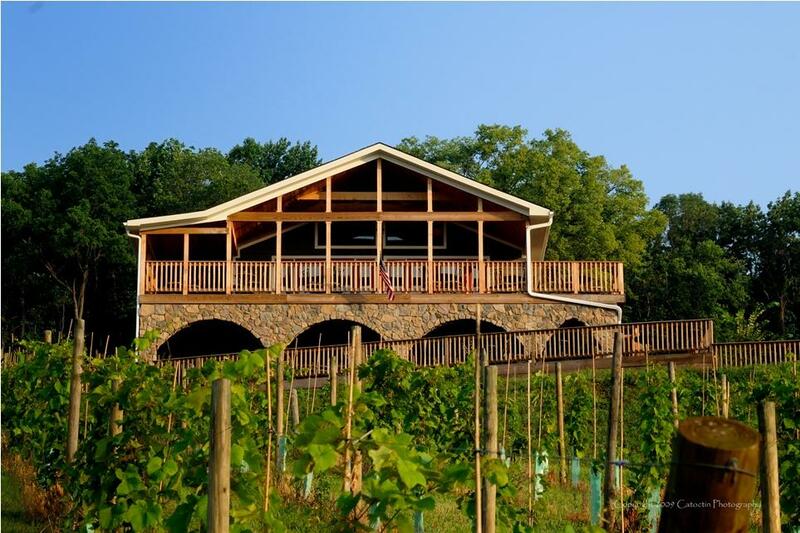 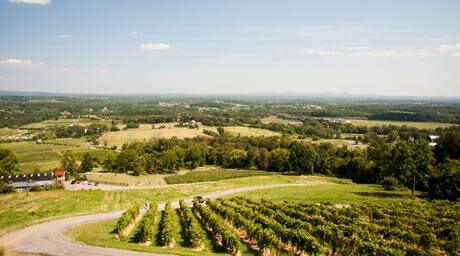 Our family welcomes you and yours to expand your vista with an unparalleled Virginia Wine experience. 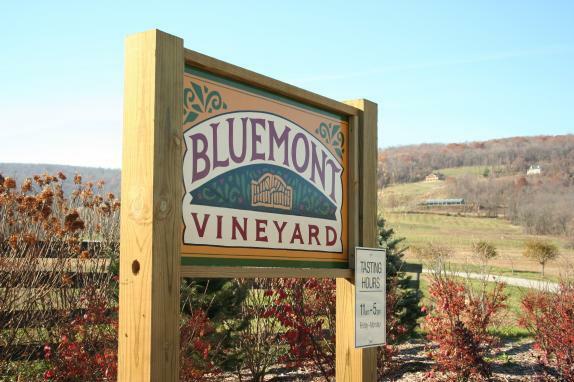 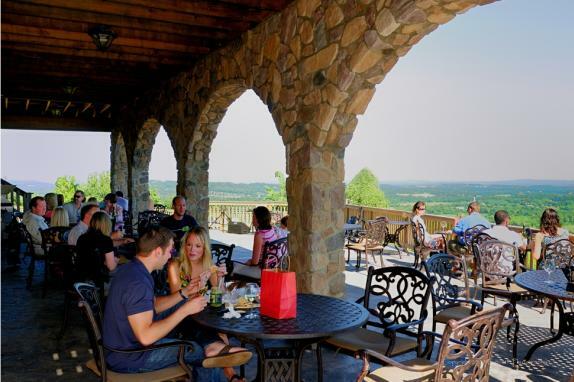 Located 951 feet above sea level with panoramic views of the Loudoun Valley, bask in our expansive outdoor seating or warm yourself by the fire on chilly afternoons. We have always claimed to be simple farmers that are blessed to steward this little corner of Earth. 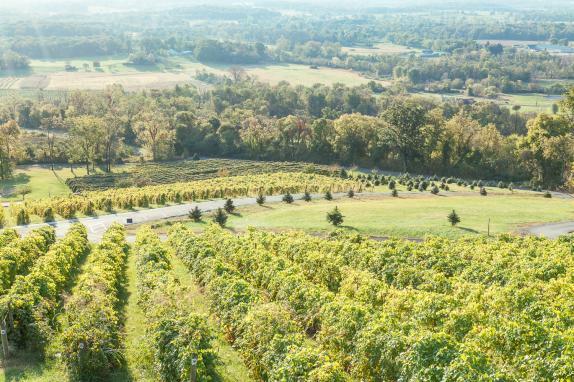 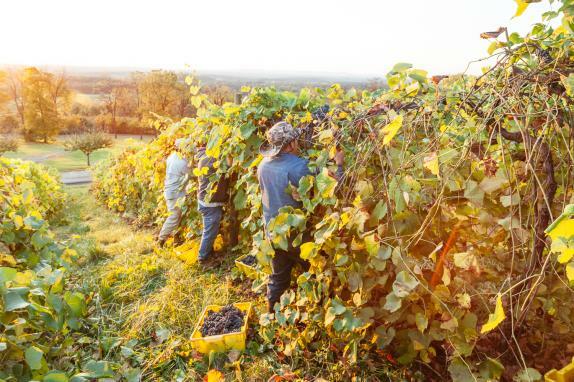 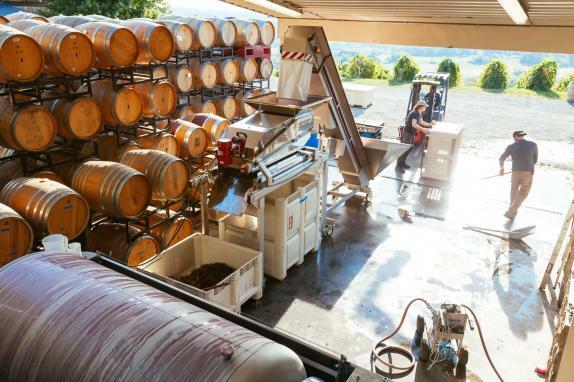 From the vines that cling to the sun-kissed mountainside, to the orchards that spread out below, it is this terroir that makes our wines unique among Virginia Wineries. 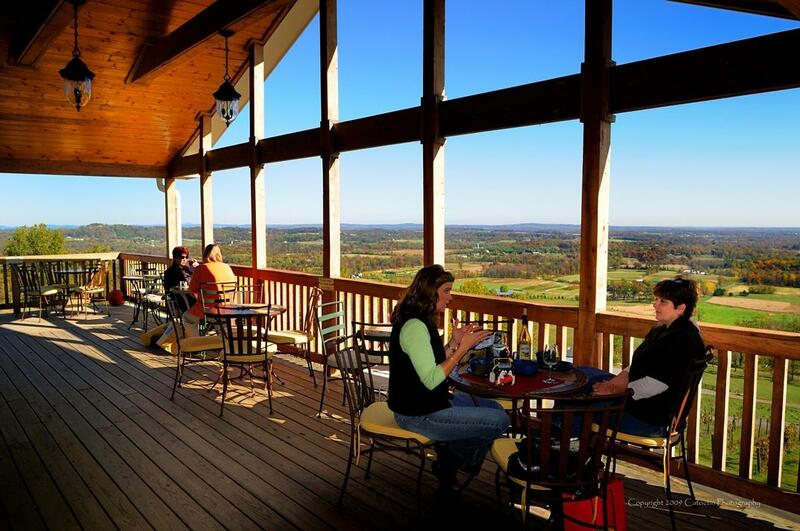 Business Hours: Nov-Mar Fri-Sun 12-5pm; Apr-Oct Fri-Sun 12-6pm; open holiday Mondays. 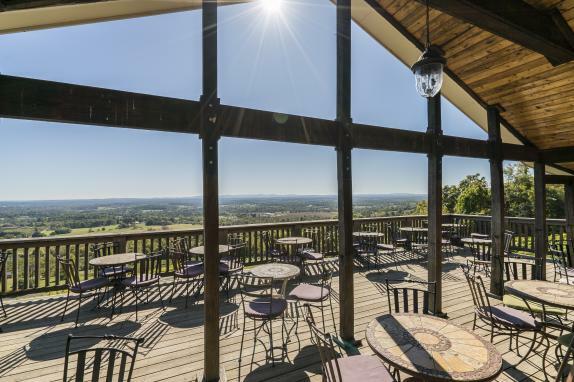 Admission Fee/Tasting Fee: $7/person for 6-8 wines and experienced wine server's explanation of Bluemont Vineyard and wine selection.